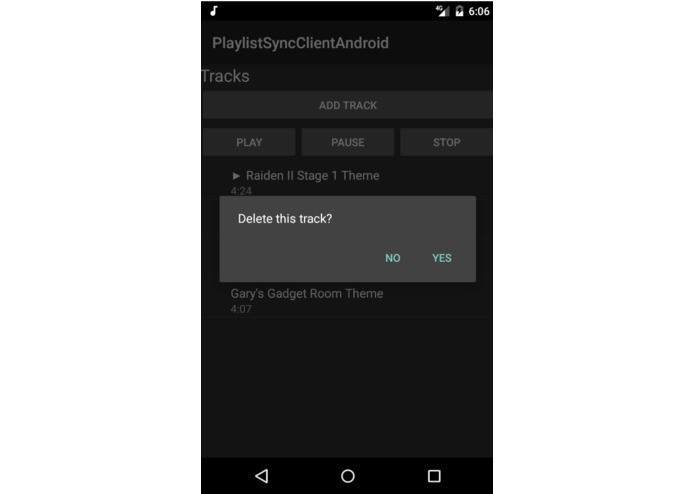 After deletion, the track disappears from the playlist. 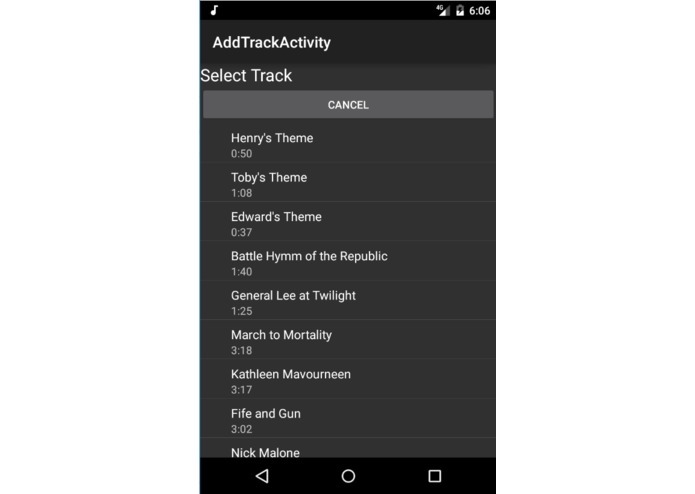 Tapping the "Add Track" button shows a list of tracks that can be added. After adding the track, it appears in the playlist. I was in a team that did this (for this hackathon), but I couldn't get the SDK they were using to work, so I built my own app my way (instead of doing nothing). 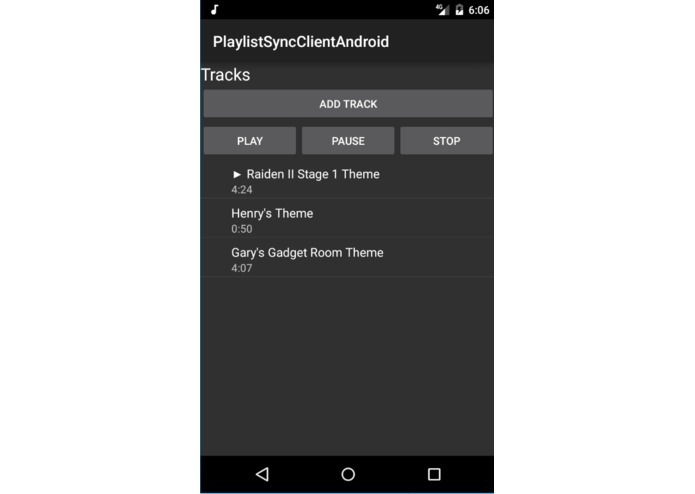 You can use multiple phones to collaboratively build a single playlist, which can be edited while it is played. This all happens in realtime. Music is streamed via HTTP from a server, which also holds an index of all the songs. 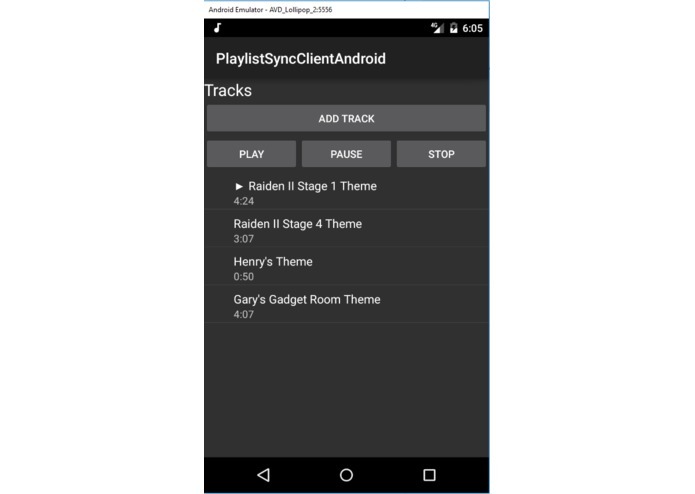 I used Xamarin to build an Android app in C#. After trying React and having absolutely zero progress in it (no internet = no go), I decided that even a C# cross-platform framework was better than one I couldn't use at all. The server is very simple: when you make a query, it stores the "data" parameter of that query, and if you make any GET request, the server returns the value of "data". 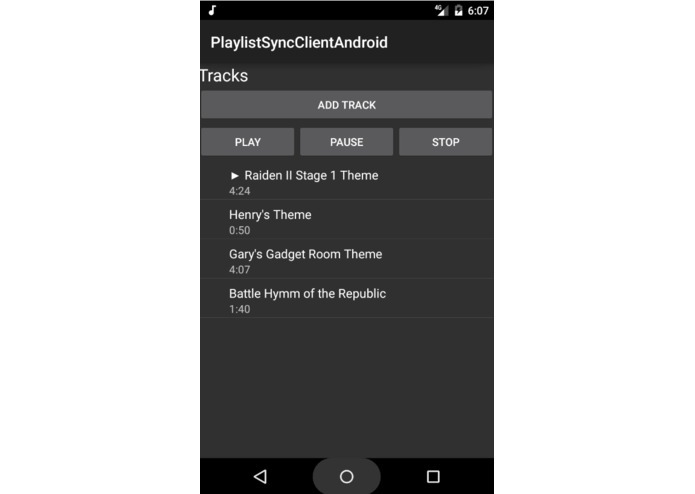 All processing is left to the client, so the server can be very simple (playlists are stored as backslash-delimited plain text, one track per line).